When the Ananda College of Living Wisdom’s undergraduate program first began at the Ananda Meditation Retreat campus in 2003, we began collecting books on Higher Consciousness, Science, Spirituality, Yoga Philosophy, World Religions, esoteric wisdom traditions and more. Over the years, several noted Science and Consciousness authors have contributed their publications to the library. Our goal has always been to have a library that would serve the unique and emerging field of Consciousness Studies. When the College’s M.A. in Consciousness Studies program begins, the library will become all the more significant. 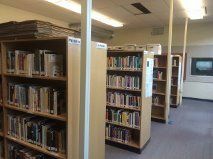 When the campus briefly moved to Oregon in the fall of 2012, we finally had the space to create a full library. For several years, David (Byasa) Steinmetz served as the library’s founder and helped to establish the library’s catalogue and computer system. In December 2014, we moved the college back to California. 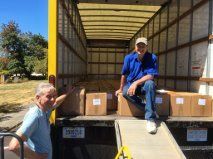 Subsequently, Nakula Cryer, a member of the Board of Directors, relocated the library this year from its temporary site in Oregon back to California. He was assisted by Steinmetz, Lewis (Yudisthira) Van Der Meulen of Ananda Laurelwood, and Infinite Grace. We now plan to house the library in a facility at Ananda Village in Nevada City, CA. The library currently has more than 5,000 books. Our long-term goal is to have the Library of Higher Consciousness housed within a larger college facility adjacent to Ananda Village. The Internet has given us the ability to access information quickly and easily but the availability of quality information and research on Higher Consciousness is often difficult to find. Many books in the library contain a wealth of information and esoteric knowledge that does not exist on the Internet. 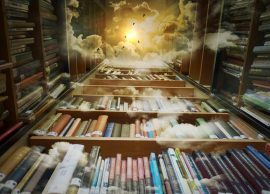 The esoteric knowledge contained in many books is not searchable or is difficult to distinguish from the morass of misinformation surrounding it. We also have authors who would like to contribute their books to the library, but we will need additional resources to collect and conserve more materials. Would you like to see the Library of Higher Consciousness become widely accessible? Would you like to have access to the library yourself? If so, we invite you to become a Friend of the Library of Higher Consciousness. You can make a tax-deductible donation today to help us to build and expand the library. Click the button below or donate via mail to Ananda College, Library of Higher Consciousness, 14618 Tyler Foote Road, #177, Nevada City, CA 95959 USA. You may also contact us at via finance (at) anandauniversity.org for additional options, such as doing a wire transfer of appreciated stocks or other assets. Ananda College of Living Wisdom is an educational non-profit institution registered in the State of California. What about donations of books? (Ananda books… as well as more esoteric ones) Thanks! Sorry for taking so long to respond but yes, we do take donations. We do have quite a few Ananda books (e.g. Yogananda and Kriyananda), so we’d want to check those first. Other esoteric books are welcome too, but again, it’s best to check first. We have nearly 6000 titles now, so there’s often overlap. Very excited bout this whole project…the webinars and the library. What is the fee for a yearly subscription for the webinars? Right now we don’t have an annual subscription, especially because there will be a break during the summer months (June, July, and August). The monthly subscription is the best for now. 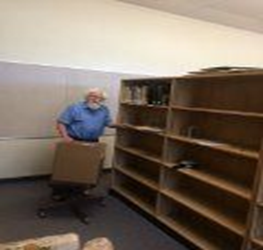 Thank you all for the great effort it surely must have required to dismantle, move and reassemble the library as needed over the years! After becoming a friend of the library, are there library days and hours for visiting, checking books out, etc. Does one call before coming by? I am wondering where at Ananda Village is the Library located? Thank you and Blessings. Nefretete has the Library open 3-5 on Saturdays. I can also meet by appointment most Fridays. The Library is located in Rajarsi park in the southern-most building (the St Lynn building); entrance is through the middle doors of the building, then to the left.